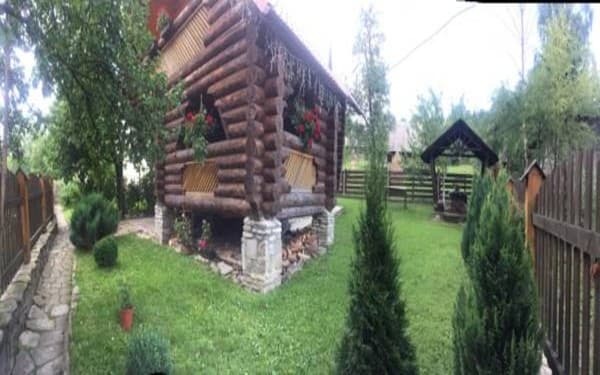 Cottage for 6 people Smerekova Hata is located in a quiet and ecologically clean area of ​​Transcarpathia, unique mineral springs of Soim and Kelechin, Shipot Waterfall and Synevir Lake. 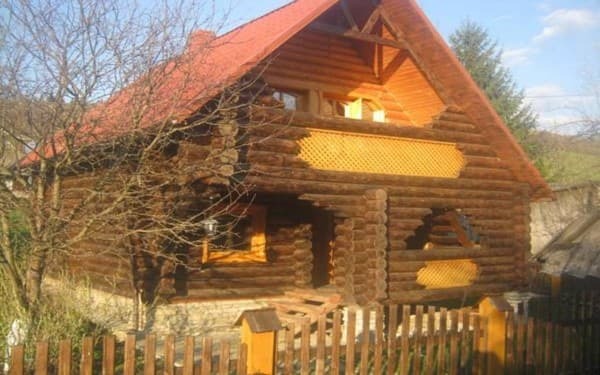 Cozy 2-bed rooms are equipped in national ekostyle (house, decoration and furniture made of wood), have modern comfortable conditions. 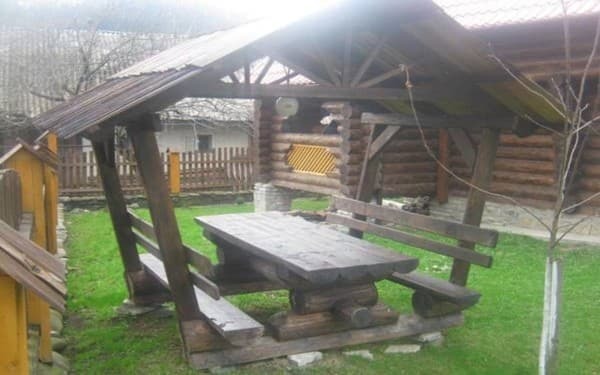 On the territory of the manor are located, a swing, a brazier, near the mountain river Repinka. 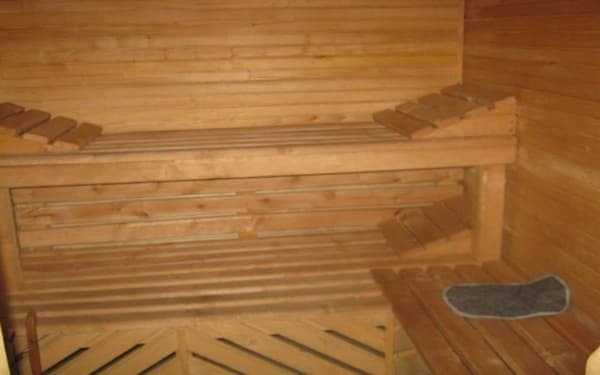 There is also a sauna-sauna, (water from the source) in the estate. At the request of tourists can be organized tours. In summer - you can walk in the woods, collect mushrooms, strawberries, blueberries, cranberries, fish. And in winter - to ski. The distance to the nearest ski lift is 7 km. PRICES MAY CHANGE, IT IS REQUIRED TO RECEIVE INFORMATION FROM THE OPERATOR. 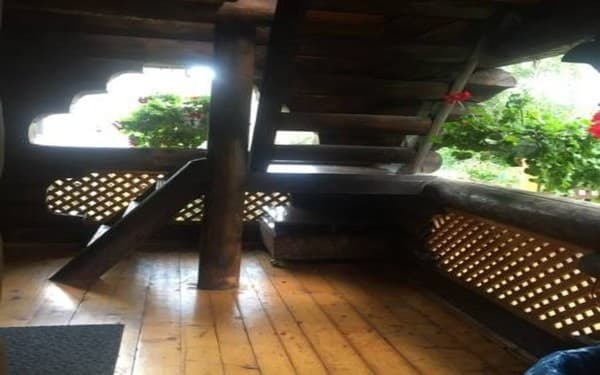 Description of the room: The cottage can accommodate 6 people. On the 1st floor there is a kitchen, a bathroom and a sauna. 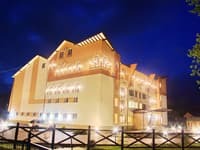 On the 2nd floor there are 2 triple rooms. 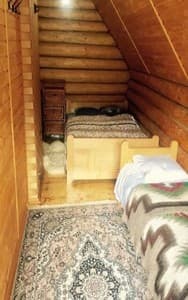 Each room has a double bed and a single bed. Children under 3 years - free of charge, from 3 years - 50% of the cost. The cost of 3 meals a day is 150 UAH per person. 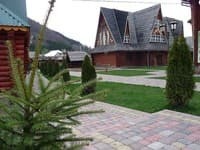 The district center is 25 km away, the railway station 35 km, the store 50 m, the medical center 100 m, the reservoirs 50 m, the forest 100 m, the mineral springs 500 m, the Shipot waterfall 5 km, the Synevir lake 30 km, the valley narcissuses 55 km. Trains Uzhgorod direction to the station. Volovets, then by bus (except Saturdays and Sundays) or by taxi to. Kelechin. By car on the highway Kiev-Lviv-Chop (E-50 / M-06), for p. Turn the Lower Gates to Volovets. In the village of Volovets on the ring turn left towards Mezhgorye. Go to the center with. Kelechin (the house is to the left of the road opposite the bus stop).